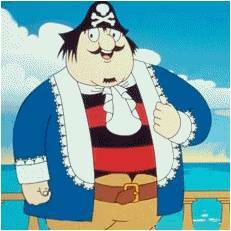 Thames Discovery Programme - Cap’n Pugwash’s Titbits! Whilst researching the first chapter of the Captain Pugwash Mysteries, ‘Keep the Home Fires Burning,’ I was sent several newspaper cuttings from 1851 and an extract from another newspaper dated 1853. These give a snapshot into the life, and death, of Joseph Cristall & Sons, ship-breakers of 294 Rotherhithe Street, Rotherhithe and the tools and materials to be found at their riverfront yard. The following notice appeared in the Newcastle Journal on Saturday, 7th June 1851 following the death of the yard’s owner, Mr Joseph Cristall. ‘TO SHIP OWNERS, SHIP BUILDERS, SHIP BREAKERS, SHIP CHANDLERS, SAIL AND MAST MAKERS, TIMBER MERCHANTS, BUILDERS, CARPENTERS, IRONMONGERS, MARINE STORE DEALERS, ROPE MAKERS, AND OTHERS. MR MARSH has been favoured with Instructions from the Executors of the late Mr Joseph Cristall to SELL BY AUCTION, on the premises, 294 Rotherhithe Street, Rotherhithe, on Tuesday next, June 16th, and Five following Days, Saturday and Sunday excepted, at Eleven o’Clock each Day, the FIRST PORTION of the EXTENSIVE and IMPORTANT STOCK comprising New and Old CANVAS, SAILS of various kinds, COIR, MANILLA and BOLT ROPE, HEMP CORDAGE, RIGGING and JUNK, Hambro’ Lines and Twines, Running Rope, Oakum, Bunting and Flags, Hammocks, Marryatt Signals, Books of Codes, Sail Thimbles, New and Second-hand Iron-bound, Iron and bush BLOCKS, Log Reels, Hanks, Mast Hoops and Sheaving, Marine and Azimuth Compasses, Harpoons, Spades and Lances, Muskets, Musektoons, Boarding Pikes, Cutlasses and Shovels, SHIPS CHANDLERY, of all descriptions, including Paints, Oils, and Colours, Tar, Pitch, Rosin, Dudley Nails of all Sizes, Small Chain, Hooks and Thimbles, Handspikes, Mops, Brooms and Brushes, Cork Fenders, Buoys, Single and Double screw Jacks and Screws, Claw Stoppers, Binnacles, Pots and Kettles, Signal and other Lanterns, Deck and Dead Lights, Copper Powder Magazines, Copper and Metal Sheathing and Nails, Marling Spikes and Corking Irons, Deep Sea Leads, Time Glasses, Ship Scrapers, &c. and Extensive Assortment of SHIP’S IRONMONGERY, Hoop and Sheet Iron, row Bars, Case and Fish Hooks, Gammoning Plates, Creepers, Gins, Shackles, Can Hooks, Grindstones, Edge Tools, Rim and Bolt Locks and Bolts, Hinges, Wire, and Tin Ware of all Descriptions. The Sale of the SECOND and THIRD PORTIONS will take place within a few Weeks, due Notice of which will be given. The Stock consists of CHAIN CABLE, ANCHORS, CARRONADES and GUNS, Two Superior Long NINE-POUNDERS, on carriages, Contents of Blacksmith’s Shop and Tools, Steel, Copper, Brass and Lead, English, American, and African ELM, Pine Logs, Planks, Deals and Battens, Old Timber, Floors, Futhooks, Beams, Quartering, Panelling, and Oak Firewood. A further notice was posted in the Newcastle Journal of Saturday, 5th July 1851. Will Sell by Auction, on Tuesday December 9th and the following day, by order of the Executors of Mr Joseph Cristall, deceased, the Remaining Stock of Old Ship Timber, from Ships of War and East Indiamen, consisting of Oak Beams, Floors, Futtocks, and other Timbers; Oak and Fir Plank, River Lighter, Etc.